Jalpaiguri : Panic has gripped the patients of the state-run Jalpaiguri Sadar Hospital here following reports that dialysis patients were infected with Hepatitis B, C and HIV during treatment. 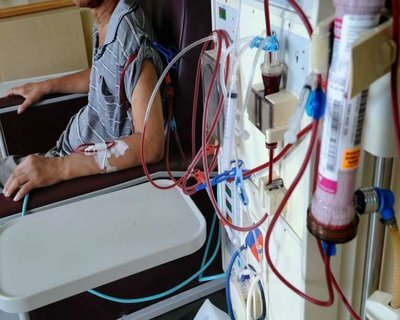 Although patient’s families today alleged that six persons had so far been infected with Hepatitis B, C and HIV during dialysis, the hospital authorities confirmed two such cases. Hospital head Gayaram Naskar said two patients after dialysis were found infected with other diseases. As for the remaining four, blood tests will be conducted for a conclusion. Naskar said corrective measures had already been taken to stop recurrence of such incidents.